Floyd Joy Mayweather Jr. (born Floyd Joy Sinclair; February 24, 1977) is an American professional boxer and promoter. He is a five-division world champion, having won fifteen world titles and the lineal championship in four different weight classes (twice at welterweight), and is undefeated in his professional career. As an amateur he won a bronze medal in the featherweight division at the 1996 Olympics, three U.S. Golden Gloves championships (at light flyweight, flyweight, and featherweight), and the U.S. national championship at featherweight. 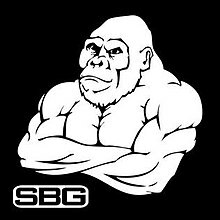 Straight Blast Gym Ireland is a mixed martial arts academy and professional team based in Dublin, Ireland. It is run by John Kavanagh, and is part of Straight Blast Gym International. The team has produced several Ultimate Fighting Championship (UFC) fighters, including UFC Lightweight champion Conor McGregor. New York State police are calling the death of three family members in Westchester County an apparent double-murder suicide, according to an official statement from the police department. According to the statement, state police from the Somer Barracks and Pound Ridge Police departments responded to a call in the Town of Pound Ridge on Friday. When they arrived at the residence on Fox Hill Road, police discovered the bodies of three deceased people, according to the official statement. A preliminary investigation alleges that 56-year-old Steven Dym of Pound Ridge, took the life of his 50-year-old wife Loretta Dym, their daughter, Caroline Dym, age 18, before killing himself. The Westchester County Medical Examiner’s Office will conduct autopsies to try to determine the cause of death of all three subjects. A woman who cleaned the home for the family discovered the bodies around 11 a.m., LOHUD News reported. By Friday afternoon, officers had partitioned off a section of the residential street between Pheasant Road and Long Ridge Road. Pound Ridge Police Chief Dave Ryan was first on the scene Friday morning. Ryan said this case was the only murder he has seen in the 19 years he’s been with the department, CBS Local News reported. Steven was CEO of Gabriel Management in Queens, a managing agent of apartment buildings. His father, Lawrence, had been president of the company for years, LOHUD News also reported. Loretta — who graduated from the FBI’s Citizens Academy in 2009 and was on the board of governors at Rockrimmon Country Club in Stamford — was also a vice president for global strategic memberships for Club Quarters Hotels in Manhattan, LOHUD News reported. Daughter Caroline was entering her senior year at Sacred Heart Greenwich, where she was a member of the golf team. The couple’s other child, William, just started his sophomore year at the University of Southern California, LOHUD News reported. A lone cry of “hit him” echoes through the arena.